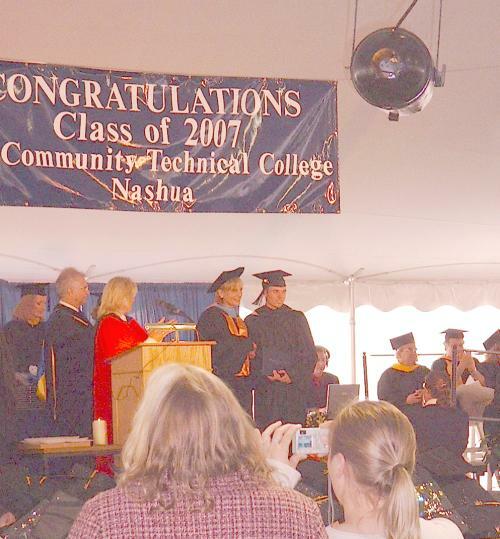 Despite the cold wind driven drizzle and constant dampening mist, it was a warm day for us all as we watched Colin come across the stage to receive his Associates Degree diploma in Automotive Technology from New Hampshire Community Technical College in Nashua. I am so proud of him, you can not imagine. 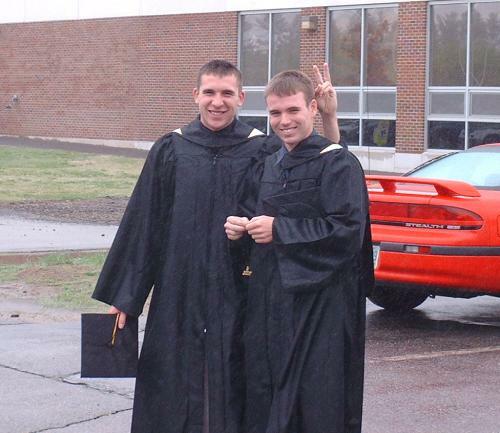 From a starting class of twenty five two years ago, only seven walked across that stage today. An accomplishment that he can be proud of for his whole life. 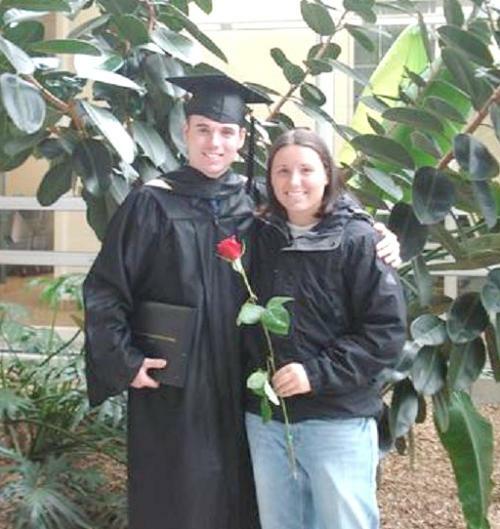 Two years of perserverance in driving an hour and a half each way five days a week for two years, carrying 18 credits a semester while at the same time managing 400 hours of specialized training and spending most nights at home on the computer working through Honda specific online training modules so that he now is years ahead of most mechanics by having two thirds of the work towards his Master Honda Mechanics license is truly a testament to his courage and character. Marissa and I were so blessed to be able to share this day with him along with Pat and his grandfather Tom - limited tickets were available and so his grandmother and many friends would have to wait and congratulate him later. But the joy I had in my heart as he shook hands with the President of the college, Lucille Jordan, who had taken him under her wing and was so instrumental in making this day a reality for him, was boundless. 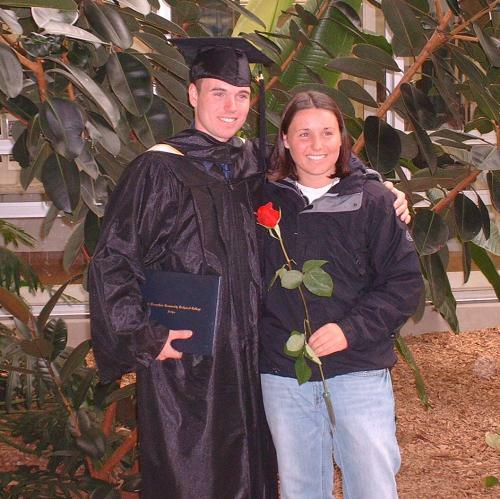 Colin receiving his diploma from the President of the college, Lucille Jordan, who had taken him under her wing and was so instrumental in making this day a reality for him. 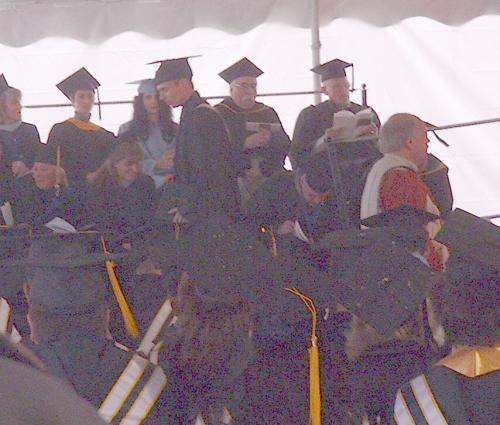 Colin coming off the stage, diploma in hand. 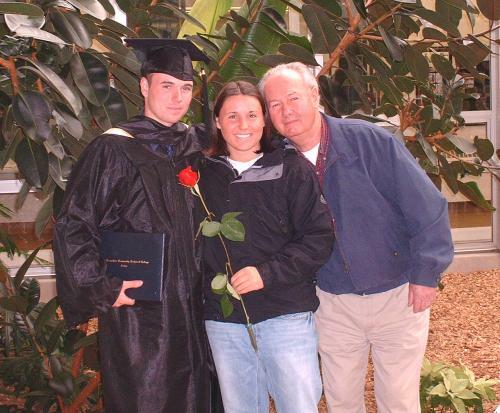 Colin, Marissa, and their Grandfather Tom. Marissa shares the moment with her brother. Another great shot of Colin and Marissa.